We are the Intimitrons from Area 51. 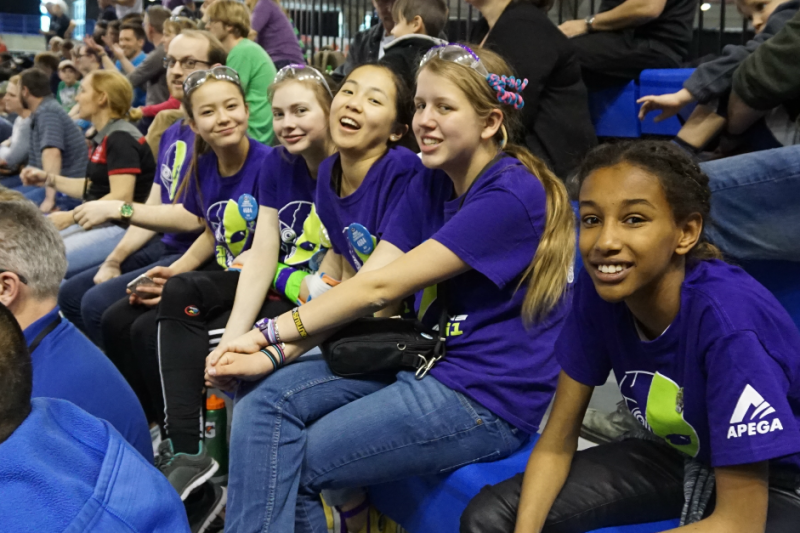 We are an all-girls First Robotics Competition team, located in Calgary, Alberta. Our team has a goal this year to compete in the Canadian Pacific Regional in addition to the Canadian Rockies Regional. However, the entry fee for a second regional is $4000 USD, which is approximately $5000 CDN. Some additional costs will also arise for transporting our robot, accommodation, and other miscellaneous costs. Our team teaches girls from ages 13-18 technical skills such as programming, mechanical design, electronics and more. We also learn life skills like working under pressure, team work, and problem solving. Your funding could help us to reach this goal and support women in STEM and giving a great experience to a group of determined and hardworking girls. Find out more at our website! The Intimitrons thank you for your support! Unfortunately, our team was unable to travel to Victoria for a second regional. As for the money donated to our GoFundMe, it will be put towards future travel (another regional etc.) and will support the team greatly.